As India is progressing towards becoming a mobile nation, it is said that by 2022, nearly eight out of every ten four-wheeler sales and seven out of every two-wheeler purchases will be through smartphones. The statement was mentioned in the Zero Friction Future report based on the Indian auto industry by Facebook and KPMG. 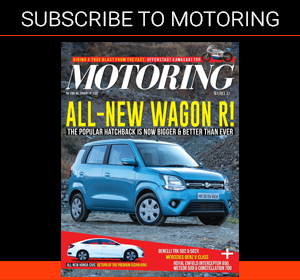 The report also mentions that approximately one in two four-wheeler purchases (47%) and two-wheeler purchases (45%) will be influenced by Facebook. 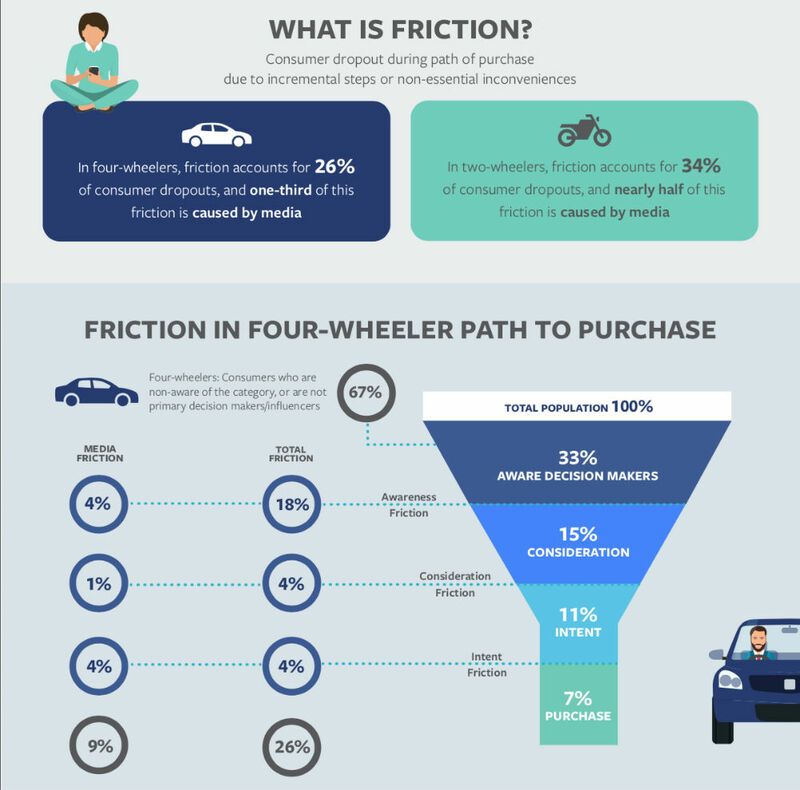 On studying the issues faced by customers at the time of purchasing a new car or a motorcycle/scooter online it has been observed that media friction causes one-third (9%) of the total friction loss (26%) in four-wheeler purchase, and almost half (16%) of friction loss (34%) in two-wheeler purchase. 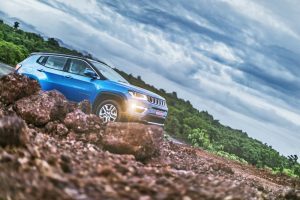 By 2022, the auto market is expected to sell over 5.6 million four-wheelers and 30.9 million two-wheeler units. Going by the numbers, it translates into a big opportunity for brands which will be largely contributed through mobile. 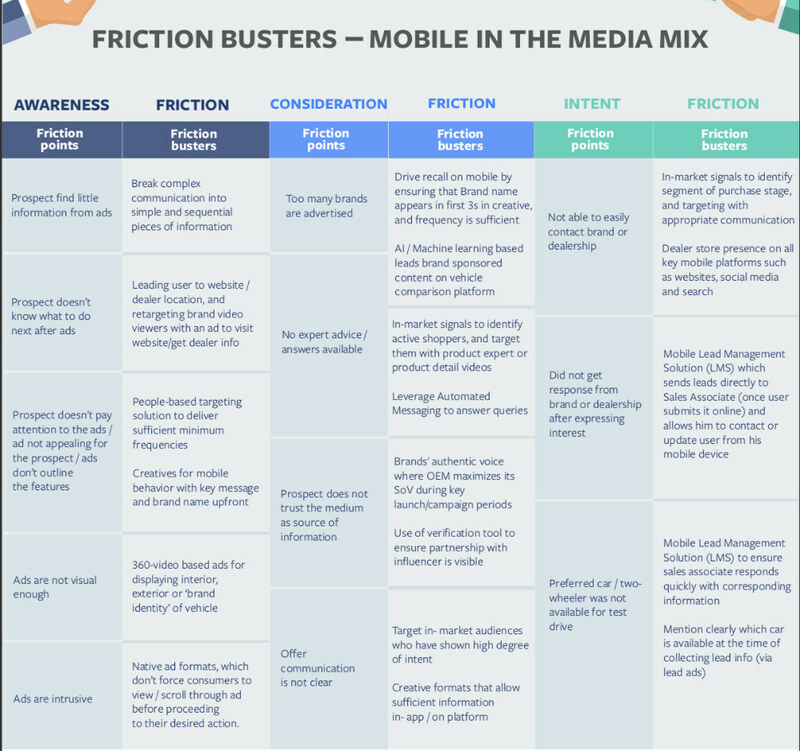 The report also talks about the benefits of the mobile which performs as a crucial catalyst in reducing friction while achieving more customer conversion at lower costs. 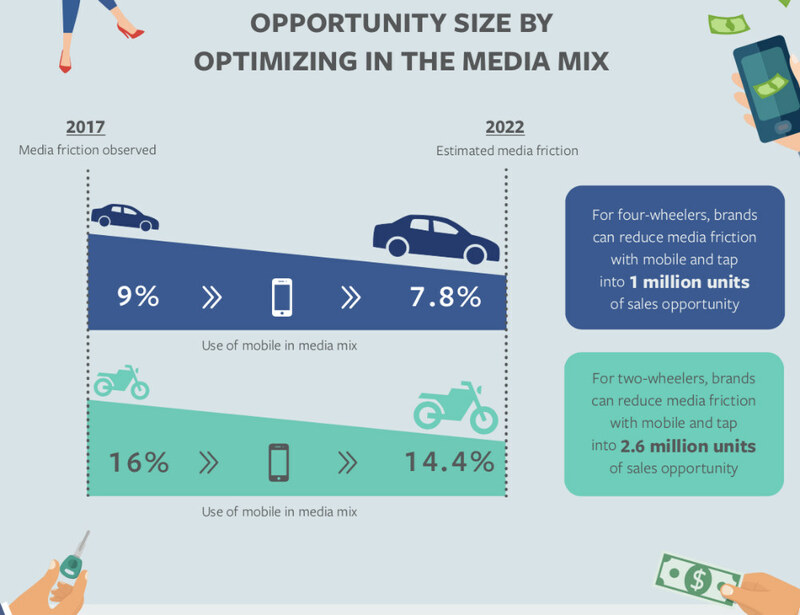 With an increased role of mobile, the four-wheeler category can gain 1.2 per cent purchase conversion which equates to approximately 1 million units of potential market by 2022. 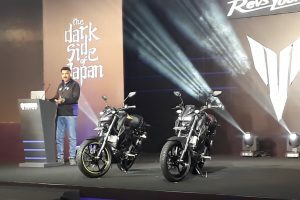 Subsequently, in the two-wheeler category, it can help increase 1.6 per cent purchase conversion which is 2.6 million units of potential market by 2022. 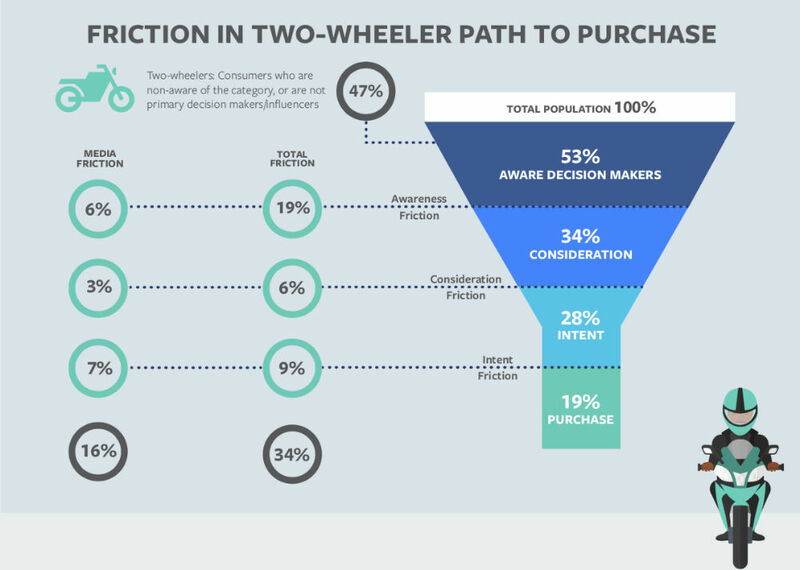 “We wanted to measure the influence and impact of media touch-points on consumers’ path to purchase route – right from the time they have a need to buy a car or a two-wheeler, to finally buying it. We designed the study to get a zoomed-in view on how buyers are now interacting with various media touch-points. Unsurprisingly, mobile is playing a key influencer in the entire journey. 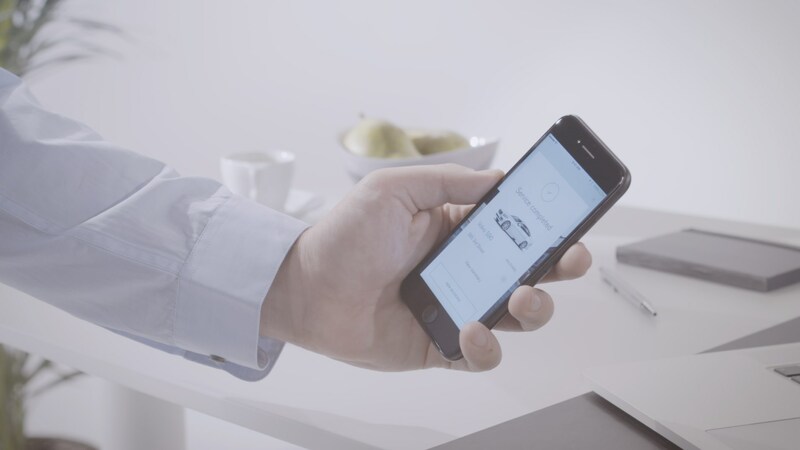 While other touch points have their own roles to play in a car or bike buyer’s journey, Mobile helps in reducing friction at each stage. We hope this study will give a strategic view on the opportunities being missed by marketers due to media friction and bring in further optimisation.” said Ashish Karnad, Executive Director – Marketing Effectiveness, Nielsen India. Gender based: In the four-wheeler category, women expect sales assistance, while men demand a swift response from brand/dealers. In the case of two-wheelers, Men seek technical assistance, while women seek clear communication of offers during a purchase. Women have also been observed to show traits of independent auto purchase from the look-out for specific product information, test drive and financing options. Age specific: Individuals belonging to the age category of 35-49 years are less tolerant to friction and are more likely to abandon their purchase after commencing the journey in the Four-wheeler category. 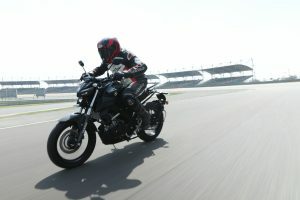 Similarly, individuals between 25-34 years of age who intend to buy a two-wheeler are likely to make a successful purchase as this age group seeks more information about the product throughout the journey. On the flip side, the 18-24 year and 35-49 year prospects look out for more expert advice or information and largely prefer to physically test the product before taking decisions. Socio-economic: In the four-wheeler category, an NCCS-A individual is 10 times as likely to buy a four-wheeler as does an NCCS-B person. Both groups seek detailed information on the product, clear advice for the steps involved in the purchase journey and lastly expert opinion to assist them in decision-making. In the case of two-wheelers, NCCS-A prospects are more than five times as likely to complete two-wheeler purchase as compared to NCCS-B. Also, targeted information and response from the brand rank higher for NCCS-B prospects, than financing support.